Derrick Robinson is fast. He is a speedy guy and from what I have seen, which isn’t very much, he seems to be similar to Jarrod Dyson. 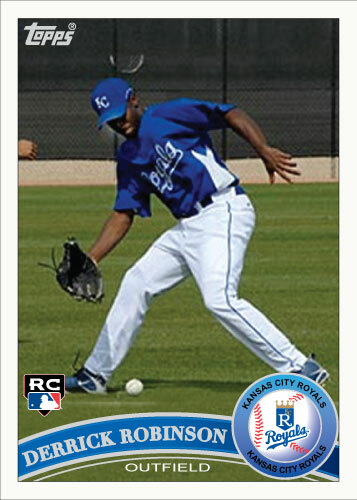 Dyson has been great so far for the Royals as a pinch runner. I really like having the speed element on a team. The only upside for Robinson over Dyson may be that he might be a better pure base stealer and hopefully develops into a better hitter than Dyson projects to be.